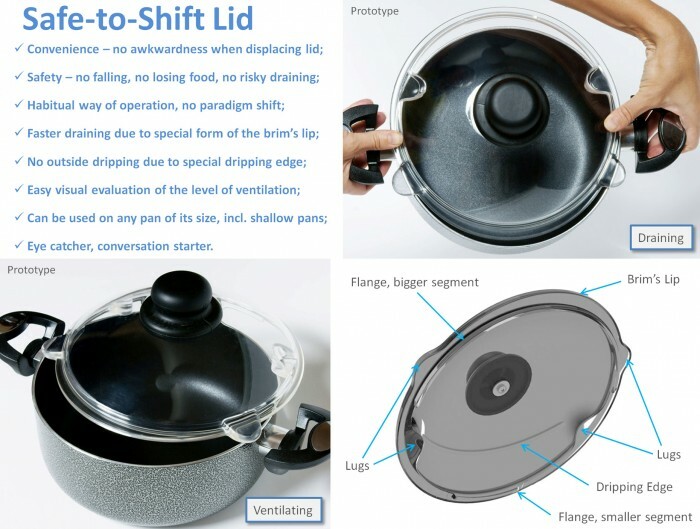 The Safe-to-shift cookware lid can be a game-changing product for a cookware supplier looking for new ways to expand. This product solves at least 15,000 years - old problem of stability of cookware lid in its habitually displaced position. 1. Adds safety when displacing a lid on a pot for ventilation/emptying of the pot. 15. Great for returning sales (different sizes, as a gift showing care - safety feature). 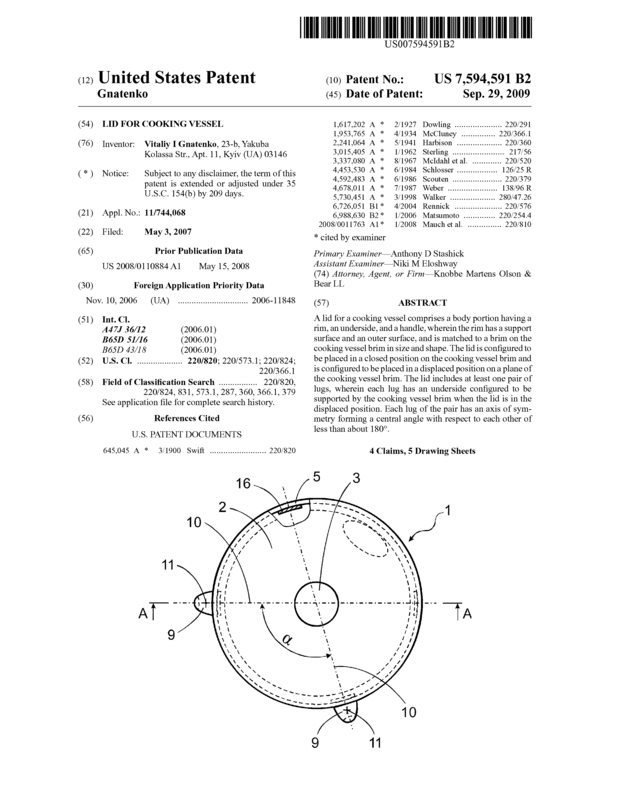 Page created at 2019-04-21 4:56:04, Patent Auction Time.